Today on the blog I am so excited to be hosting Syrie James' Holiday Blog Tour & Giveaway for Jane Austen's First Love! 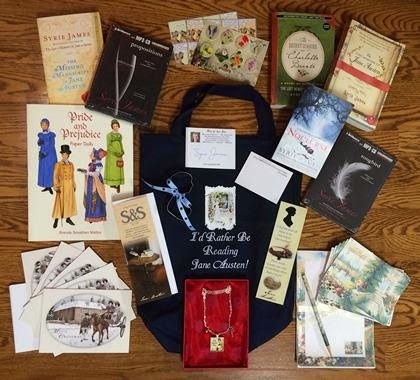 Win One of Five Fabulous Jane Austen-inspired Prize Packages! Loving all the blog posts so far on the Jane Austen Holiday blog tour! I love the idea to hear more about Jane's first love :) It sounds like a wonderful story! I loved researching and writing this novel. It was thrilling to learn so much new information about Edward Taylor that Austen biographers didn't seem to know about, and to share it with the world in this novel. He was truly remarkable and highly accomplished--everything I learned helped me to understand why Jane Austen fell in love with him. I am really enjoying this blog tour. Thanks for the opportunity to win this book. What a fun giveaway, thank you for the chance to win. Great blog tour. Really enjoying it. I love Jane Austen! Thank you for the chance! This sounds like such an interesting book. I love Jane Austen's novels, and I'd like to know more about her life! Thanks for the chance to win. Specially for making it open to all. What amazing prize packages! Thank you for the giveaway.This book sounds like a must have for my Austen collection. Jane, the matchmaker even if she got them all mixed up sounds like her own Emma. This will be a fun read. Thanks for the giveaway opportunity. It was fun writing about a young Jane trying out her matchmaking skills! Hope you love Jane Austen's First Love! When I saw the cover of this book and the blurb about the plot, I literally gasped! I would so love to be a winner! Thanks for the incredibly generous giveaway!! Thank you for your comment, Connie! 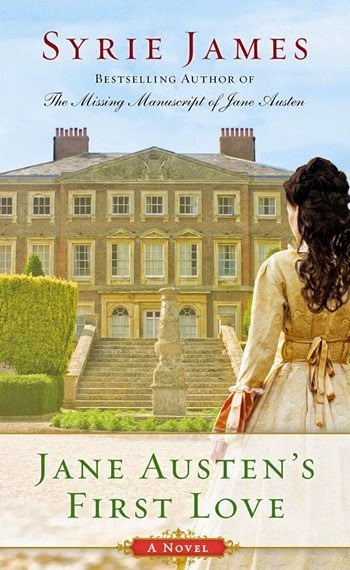 I love the cover for Jane Austen's First Love, too, and had a wonderful time writing it. I hope you have a chance to treat yourself to a copy of Jane Austen's First Love, or put it on your wish list! (It's not part of the prize packages on this blog tour, but several of my other books are, along with lots of awesome Austenesque goodies!) Happy holidays!! What a fun blog tour! Especially during the holidays! Thanks for your comment! It's been a fun holiday blog tour. I've been told that Jane Austen's First Love would make the ideal gift for one's Austen-loving friends and relations, and I hope you agree. :) Have a great holiday! Who can survive without Jane Austen in their life?! :) Thanks so much for the great giveaway! What a generous giveaway! Thank you both! Great posts so far on this blog tour! Also, loving the giveaway! Thanks for following the blog tour, Kimberly! I hope you love Jane Austen's First Love! This prize package is so pretty! I'd love to win! My mother introduced me to Jane Austen at the age of 13 in the early 1960's and I visit my friend every year to renew my acquaintance. Her books are old friends and I am an avid reader and there are many books once read I do not read again. I look forward to reading Jane Austen's First Love. LaGina, my husband's favorite out of all my novels is Dracula, My Love! Before he read my book, he said he hated vampires. Then he fell in love with my charismatic Dracula and was also hooked. :) Thanks for commenting and I hope you Jane Austen's First Love just as much! This is a wonderful tour! I love the sound of this book and it is going on my TBR! Thanks, Lori. I hope you've gotten your hands on a copy of Jane Austen's First Love by now, or put it on your holiday wish list. Happy reading! What a fabulous read this promises to be. I'm enjoying reading the different interviews and gaining insight into the background of the story. Thank you for the generous giveaway. It has been such a pleasure stopping by your blog as part of the holiday tour for Jane Austen's First Love--thank you for having me, and thank you all for your lovely comments! I bet Jane Austen would be so surprised to know about the enduring appeal of her books. She probably never dreamed of their success all these years later. It is interesting, Cheryl, to imagine what Jane Austen would think if she could see her incredible legacy today. For reasons too numerous to count, I'm sure she'd be absolutely astonished. I hope that Jane (and you) enjoy Jane at 15, as she falls in love with the unforgettable Edward Taylor, in Jane Austen's First Love! What an amazing blog tour this is turning out to be. That cover is beautiful. Thanks for the giveaway. Thank you, Nicole. So glad you've been enjoying the blog tour. There's still time to comment, if there are any stops you've missed along the way. Hope you love Jane Austen's First Love! Happy holidays! 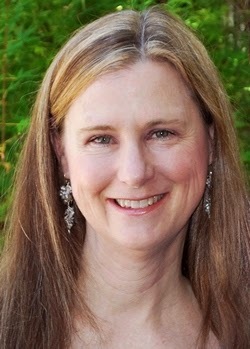 Thanks for honoring Jane Austin! It'll be fun to explore her life! I love historical fiction and will have to stop by again for some ideas. Wouldn't it be fun to win this prize package! Jane Austen holds a special place in my heart, so I can hardly wait to read this new spin-off! Following this book tour made me curious about how story in book goes about! I'm loving the blog posts on this tour. I love reading all of these posts. Cannot wait to get my hands on this book! I have always wanted to take a deeper look into Austen's life, and I can't wait to read her point of view. Thanks for this tour ! I'm discovering so much amazing blog ! This book looks like a fun read and I would love to win the package. Such a fun way to cap off this tour that was a joy to be part of. The only sad thing about it is it's end. But I am hopeful we will be united again next year by Laurel and Syrie it is a perfect match. Finding new blogs has been such a special part of this experience. I love your list of new and upcoming releases. I think you and I could be fast reading friends. Sounds like a good book. Great to hear about it. Gonna order the missing manuscript of Jane Austen right away !! Thanks for the chance to win !